Construction noise can drive you crazy. As I write this, there’s a truck outside my window using its crane to shovel molten blacktop onto the street. Its diesel engine is revving hard, and has been for the last half hour. For the past two years, there’s been an apartment building under construction across the street from my office. 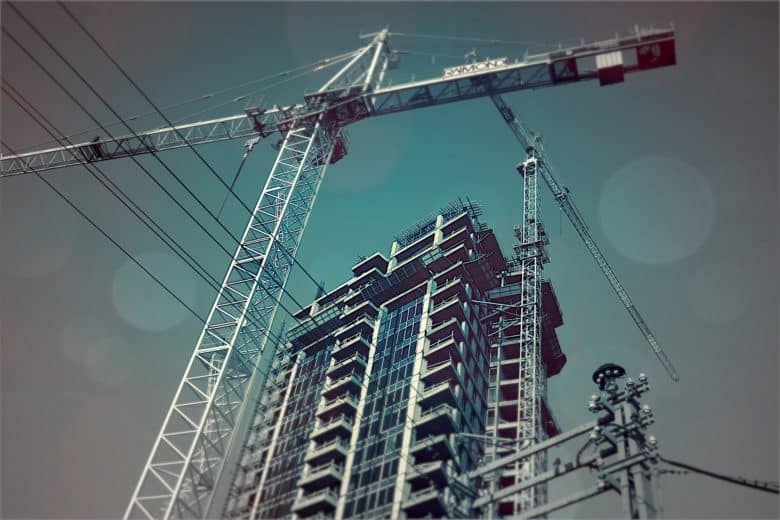 Starting at (and often before) 7 a.m., six days a week, I’ve enjoyed a symphony of pumped cement, circular saws screeching through thin metal sheets, over-revved forklifts, and drilling into reinforced concrete. I mention this to tell you that I know a thing or two about writing in a noisy spot. I also know how to stop it driving you nuts. There are three ways to deal with noise when you’re trying to write (or otherwise concentrate). You can block the noise, cover the noise, or flee the noise. You also need to do something to stop the constant racket from sending you to the loony bin. I’ll cover that part first. You should take up meditation. Meditating is just the act of calming your mind. You can practice mantra-based styles, like Transcendental Meditation or the non-mystical Acem Meditation, both of which involve repeating a sound internally while you sit with your eyes closed. The mantra eventually lulls your brain into a relaxed state. After a while, you’ll be much calmer and less volatile in regular life. There are other forms — guided meditation, for example — but they all achieve the same thing in the end. Calmness, a clear mind and the ability not to fantasize about killing construction workers. The first stage of blocking noise is to use noise-canceling headphones. Technically these cover up the sound rather than blocking it. Depending on the kind of sounds you’re trying to defeat, these can be great. They’re very good for constant drones and rumbles, which is why they’re so good on airplanes. They don’t fare so well with sounds that spike or change quickly, like speech or power saws on metal. If you live near a road or airport, or are working in a bustling coffee shop, they can work well. Pro tips: If you wear glasses, the arms of your specs can stop the cushions of the headphones from making a good seal against your ear. Also, over-the-ear headphones can be great physical noise-blockers even when switched off. These work by stopping up your ears so the sound can’t get in. Any decent earbuds with silicone tips can be screwed into your ears tightly enough to block sound. When you’re in the street, this is great, because you can keep your music levels lower, and therefore cause your ears less damage. The trick here is to fit the earbuds properly. Try licking them before insertion. Also, when inserting an earbud, try reaching over your head with one hand and either pulling your ear up from the top or down from the lobe. This can straighten out your ear hole and give the silicone tips an easier ingress. If you’re still not getting a good seal, try different-sized tips. You can also try putting them in upside-down or at odd angles. I have a pair that only seals when upside-down, and my AirPods only stay in when I jam them with the handle/shaft stick almost straight out of my ear. 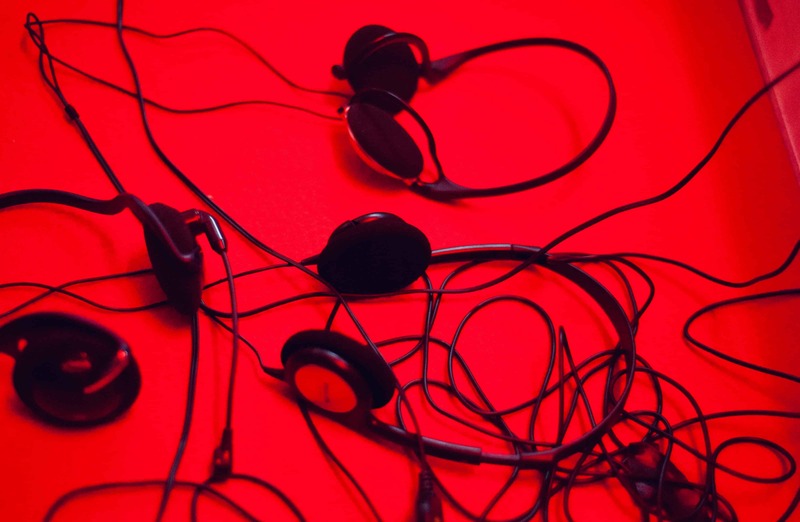 Once correctly fitted, sealed earbuds can be almost as effective as earplugs. Just make sure to clean them once in a while. MyNoise lets you futz with relaxing soundscapes instead of working. If you’re using headphones or earbuds to block noise, then you can also use them to mask it at the same time. Chilled music is always a good option. For writing, I like music that has no lyrics or regular beat. Pretty much any of Brain Eno’s ambient records are great for this. If you don’t like music while you work — maybe you’re working with audio, or you just find music distracting — then consider white noise, which is a kind of audio snowstorm that masks other sounds without distracting or annoying. You can also consider an app, or a playlist, of nature sounds. 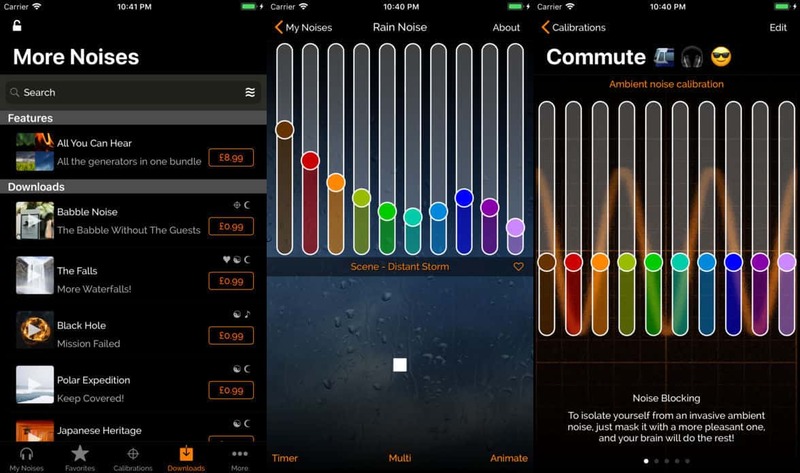 An app like myNoise generates everything from rainstorms to beach soundscapes to snowstorms. Or you can just search for an ambient playlist (forest sounds, for example) on Apple Music or Spotify. This final tip is like all the other tips rolled into one. Jam in some AirPods, then put on a pair of ear defenders over the top. Then play a relaxing Brian Eno album, or some nature sounds, and you’ll be whisked away from your construction-site hell to a beautiful beach. Just hope that the beach doesn’t have jet-skis, screaming children and a chiringuito run by hungover club kids.